Posted <2016-02-03 Wed 21:38> by Aaron S. Jackson. January has been a hermit-like month for me. I didn't do too much, but I enjoyed it all the same. 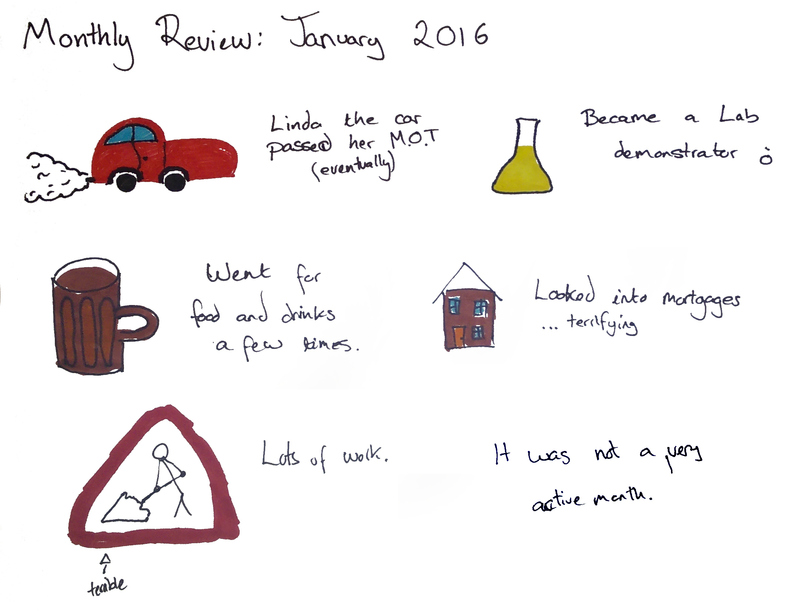 This is the first monthly review where I didn't scan in the image. I took a photo and warped it in The GIMP. It probably looks a little worse than usual.